Christ the King Students Sing to Over 8000! 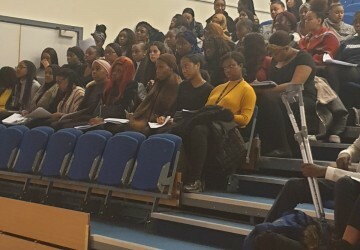 On the 2nd March 2019, 25 CTK students from across all three sites attended the Flame 4 Congress in London. They however were not just there to witness the testimony of several amazing speakers and participate in the worship and other activities that the day had to offer, but also to perform with several other choirs from across South London in a group performance that proved to be one of the highlights of the day. 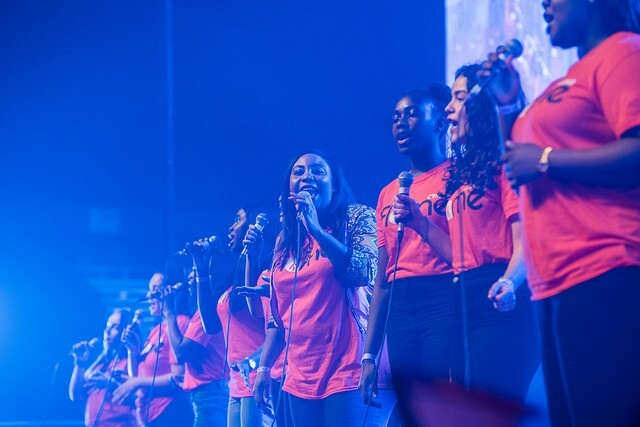 The Flame Congress is a biennial event taking place at Wembley’s SSE Arena, organised by the Catholic Youth Ministry Federation. 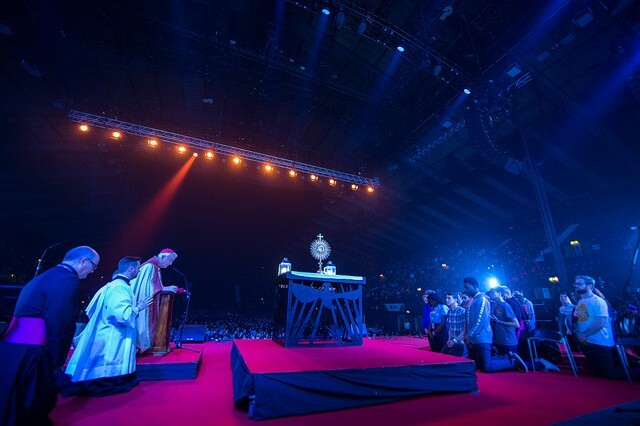 It continues to be the largest regular gathering of young Catholics in England and Wales. Since it started in 2012, CTK has sent regular groups of students to the event, all of whom were inspired by the experience. The theme of this congress was #Significance. Throughout the day, the young people involved had the opportunity to listen to some amazing speakers, including Robert Madu and Archbishop Eamon Martins, talk to fellow young people from across the country, and participate in worship and adoration. There were also spellbinding performances from Guvna B, Rise Theatre and Anglican worship leader Tim Hughes. 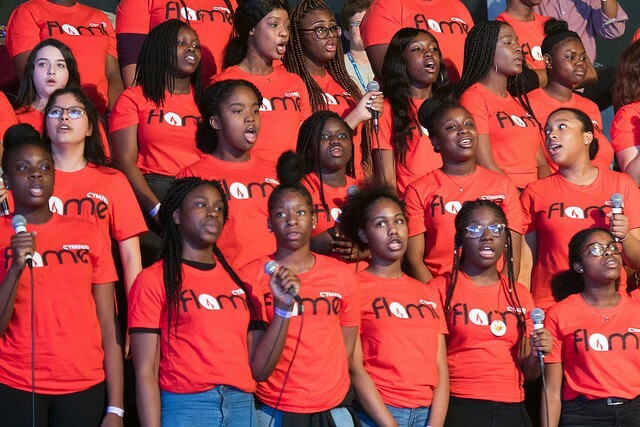 This most recent occasion was the first time they were given an opportunity to take part in the proceedings, an opportunity they embraced as they performed two songs, Stormzy’s Blinded by your Grace, and the classic Amazing Grace. For those of us who had the pleasure of attending with them, it was a profound and joyous experience, which will be looked forward to in future years.